Just a quick recipe review as I have not done one in a while. My mum has introduced me to a new favourite dish of mine, the Trout Almondine (menu on link) as instructed by the Hairy Bikers. 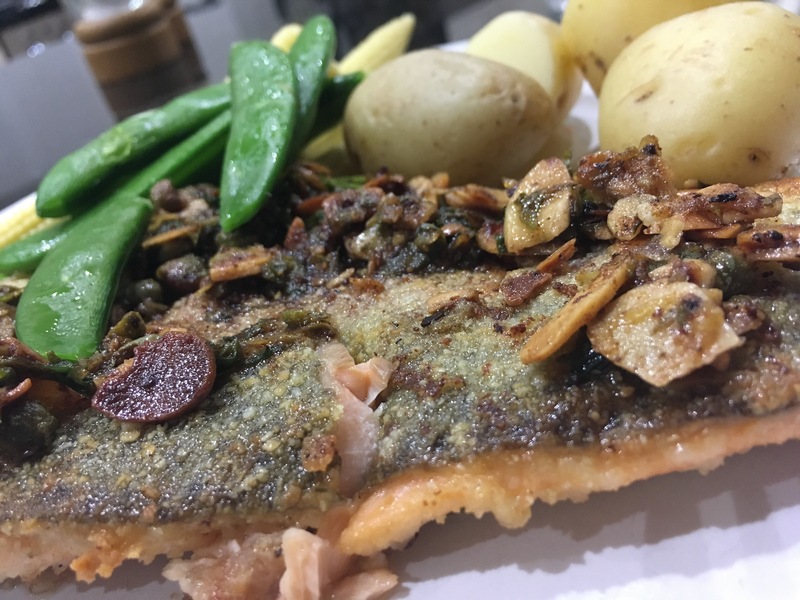 The sour capers, and strong citrus flavours add flourish to the otherwise delicate, more subtle flavoured trout. Although I have not tried it, fish can always be replaced with others to experiment with flavour and texture; perhaps salmon, for a more lean cut, or even sardines with rice to add saltiness to the strong flavour concoction of this recipe- just a few idead to get your imagination rolling! A quick evening dish, cooked in under an hour, which can of course be served with a variety of vegetables for all those vegetable obsessed cooks (like my mum!) out there.